Our Spring Revel is on April 12. In anticipation of the event, The Daily is featuring a series of essays celebrating James Salter, who is being honored this year with The Paris Review’s Hadada Prize. If you’re interested in purchasing tickets to the Revel, click here. For over half my life, I have returned repeatedly to Light Years. It was the first of James Salter’s books I discovered; it has since led me to all his others. Light Years is the one I know best. The first copy was borrowed. It belonged to my college roommate and was among the handful of books she’d brought with her from home, having nothing to do with our classes. It was a beautiful paperback published by North Point Press: yellow border, rough edges, thickly woven pages, a Bonnard painting on the cover. It was 1985. The book was ten years old; I was eighteen. I was new to New York, a freshman at Barnard College. I was unsophisticated, unmoored, bewildered by college and by the city. Reading the novel was like opening a window for the first time in spring, after a long winter has passed. Something worn out was set aside, something invigorating ushered in. At the time I had not read much contemporary literature. I had certainly never read sentences so precise, so clean, so fervent and yet so calm. I reacted to the novel as I did to the books of my childhood: it cast a spell in the same way, provoking a reaction that was visceral and dreamlike and whole. But here was a book that was about adulthood, the undiscovered country that lay on the other side of a bridge I was only beginning to cross. I loved the mood of the book, which was sober and sophisticated, but also casual, playful. I loved its structure, restrained and orderly, while at the same time loose and unspooling. I loved its intimate texture and its images: Nedra’s hands flat on a table, her oat-colored sweater. Pigeons crowding into the R of a furniture store, a martini that is like a change in the weather. I loved the devotional rendering of meals, peoples’ faces, rooms and the objects they contained. Though it felt startlingly modern, I recognized certain ancient forms of literature I was studying in my classes: myth, elegy, ode. The five acts of Shakespeare. Long passages of conversation, as unadorned but as revelatory as dialogue in a classical play. Viri, Nedra, Franca, and Danny—the family in the book—live outside Manhattan, but I found in the novel a portrait of the city I was getting to know. As a student, I often used to take walks to clear my head, down Broadway to Seventy-ninth Street and back. After reading Light Years, I never walked into Zabar’s without thinking of Nedra somewhere in the crowd, her car parked hastily outside, her hair flowing over the back of her coat. I saw her asking to taste some cheese, the men behind the counter pausing in their work to admire her. In the beginning it was the light, the warmth of the novel that enchanted me. Afternoon trysts, evenings by the fire, languorous days by the sea. I was about the age of the daughters at one point in the story. Nedra and Viri were more remote, traveling toward middle age. I understood that the couple betrayed one another and separated, that the family lost its center, that death came. But in the beginning, coming to the book in a state of innocence, I was less affected by its outcome than I was captivated by what had come before. I was still at an age when the passage of time felt predominantly generous, benevolent. In the course of nearly thirty years, I have come to read the book differently. I fell in love, married, became a writer, a mother. I am now older than Nedra when she leaves Viri, approaching the age when she grows ill and dies. Now I respond, as I did not before, to Salter’s moving reflections on parenthood, on solitude, on the earth’s beauty. Pleasure is something I continue to associate with the book; it is a novel that taught me the profundity of it. But I have grown vulnerable to its darker currents: the breach between family and autonomy, between possessing and renouncing, between being and nothingness. As a writer, I am shamelessly in its debt. There is even a very minor character in one of my stories named Franca. That same story is set partly in Rome, as is Light Years toward the end. There is a visit to Keats’s grave, which Viri also goes to see. Reading Salter taught me to boil down my writing to its essence. To insist upon the right words, and to remember that less is more. He taught me that a plot can be at once a straight line and a collage, that tense and perspective are fluid things. That great art can be wrought from quotidian life. These teachings are ongoing. Each time I revisit the novel, I am humbled by how high a bar its author has set. Oddly, the geography of Light Years has come to reflect, in some sense, my own journey thus far. The North Atlantic shore, New York City, Rome: these are places that have come to inspire and inform me in different but significant ways. England, where Viri and Nedra spend their last days together, is where I was born. India, too, is a presence in the book, evoked less literally than philosophically. I had no idea, at eighteen, that a novel that felt so foreign contained a map of my own future, that by midlife, it would correspond to my evolving definition of home. “The best education comes from knowing only one book,” Viri tells Nedra. “Purity comes from that, and proportion, and the comfort of always having an example close at hand.” Nedra dismisses him, but I agree. Jhumpa Lahiri is the author, most recently, of Unaccustomed Earth. She is currently at work on a novel. 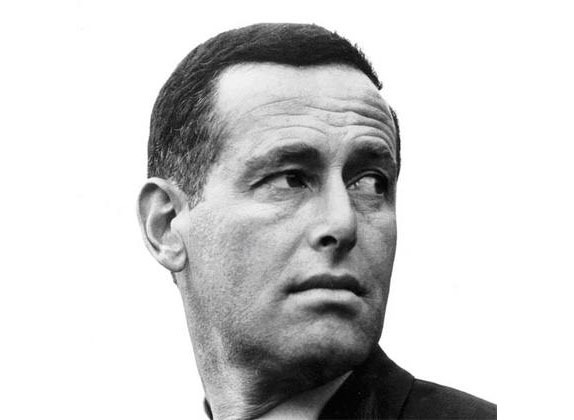 To read more essays for James Salter Month, click here.